You don't usually get me doing macro work with live insects so i was having a play with the Nikon 105mm micro. Came across this little bee that needed a helping hand. 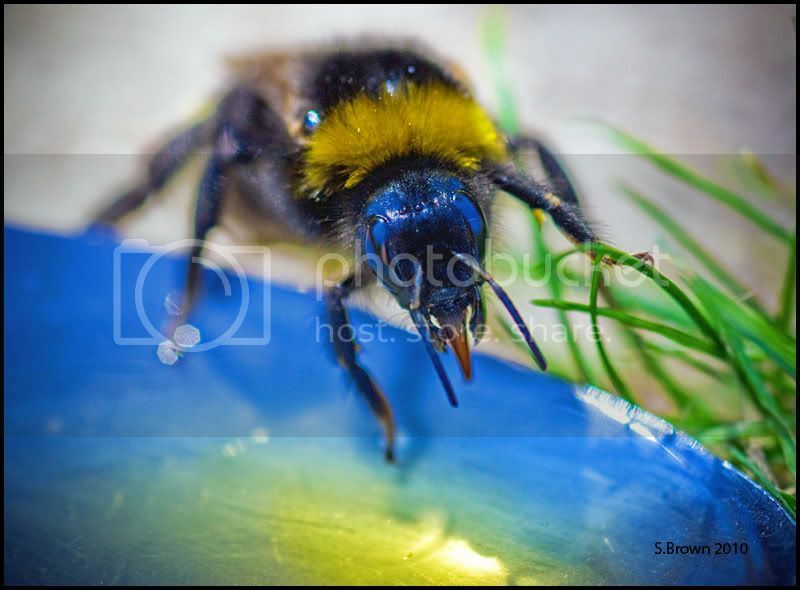 he was about to tuck into some honey-water to revive himself. Yes I did saturate the colours a bit but it was a reflection from the sky and water.